Maria attended the University of Minnesota for her Masters of Occupational Therapy. She has worked in various fields of OT- from geriatrics in long term care and independent living settings to the acute care practice at Mayo Clinic and further training and practice with Mayo’s outpatient chronic pain program. Her passion is health and wellness and cognitive training and a holistic approach to treating clients to help them regain or reach full functioning in mind and body. She’s attended further trainings in the areas of relaxation/guided imagery and cognitive training to help a person develop wellness and maintain sharpness from a mental standpoint to help them achieve their full potential. She’s also achieved her level I training to be a Farrell’s eXtreme Bodyshaping fitness instructor and has experience instructing resistance bands and kickboxing classes for the Rochester community. She has recently jumped in to a new practice area to grow the pediatric occupational therapy programming and building relationships with other peds providers in town to provide the best collaborative experience for the kids in the Rochester area. At home, Maria stays busy with her husband, baby son and their two dogs who love to play a good game of ball and frisbee. 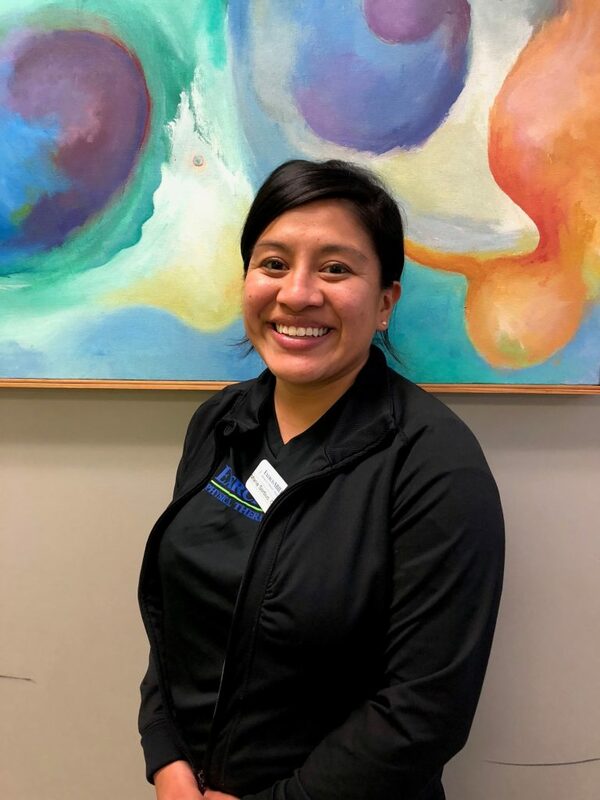 In her free time she enjoys being outdoors with family, playing beach volleyball in the summer with friends, and working out exploring different fitness classes in the community.